Here come The Royal Flares again with six raw slabs of high-energy, true-to-your-school 60s GARAGE PUNK. Five originals and a moody garage version of “She’s Not There” (written by Rod Argent of the Zombies, while “Why? !” is not by Rod Argent as incorrectly stated on the label, but original material by The Royal Flares). The recording and processing of “Blaze” was fully analogue- no digital interference whatsoever! Produced by Stefan Koglek of the acclaimed stoner rock/psych band Colour Haze on 2-inch reel-to-reel tape and directly mastered on 12” vinyl in 45 rpm, which makes for a vibrant, highly dynamic sound. Leading the pack is the exuberant “Why? !”, a steaming yet catchy 60s punk smasher with swirling organ, strong vocals and a bloodcurdling scream kicking off a first-class twangy guitar break. A potential 60s garage hit! Next comes “I – You = 0” with a choppy guitar riff and drums alternating between primitive jungle stomp and swinging 60s beat. A groover full of fun and typical 60s garage irony. “See Me Walking At Night” is a savage fuzz monster with psychedelic undertones and a moody chorus. The Royal Flares take on the Zombies’ classic “She’s Not There” exudes a silky moodiness, following the manner in which a lot of original US garage bands interpreted the Zombies style. “Mrs. Sarah Lee” is a bopping dance tune, again with a strong chorus and an irresistible plinky guitar break. The beautifully designed cover artwork is created by Kai Becker, leader of Hamburg’s own Wrong Society (check out his wonderful garage punk blog: http://shyc.posthaven.com)! It’s raw, it’s wild, it’s pulsating with the blood of original rock’n’roll. Welcome to the Stone Age! Welcome to the Stone Age! 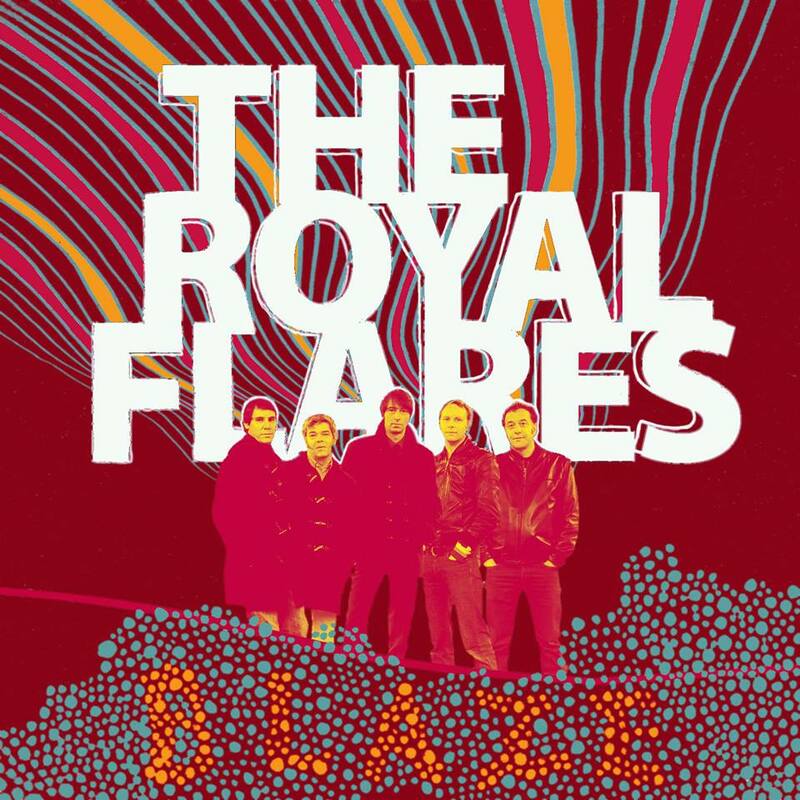 We are proud to present the debut of: The Royal Flares are dedicated to the raw, wild, frantic and driving sound of 60s garage rock’n’roll as epitomized by the legendary ‚Back From The Grave‘ series. Drumsticks flying through the room, the Farfisa organ grinding the sole off your shoes, the singer snarling and screaming out his anger, angst and longing, the bass like a heavy maelstrom underneath and guitars like rusty blades slashing through mountains of fuzz and twang. The album was recorded in an old building of the German Federal Railway, which makes for an authentic, almost archaic sound (the secret being high ceilings, like the studios in the sixties used to have them). It’s live, including the vocals, and it’s wild. This is not a clean and neat simulation of long gone garage punk greatness, this is the real thing. Forceful, massive like an old steam engine, rolling downhill! ‚Bad Part Of Town‘, the original already being a top-notch rocker- the Flares turn it into a downright ‚punk juggernaut‘ as a US collector of sixties garage 45s has put it. Their rendition of the all-time garage favourite ‚Going All The Way‘ is a blasting ’66 jangle ride on a ’77 punk engine. And another reputable expert of 60s garage rock’n’roll has only one word for their version of the hard-core garage anthem ‚Last Time Around‘: KILLER! Their original material doesn’t lack behind. 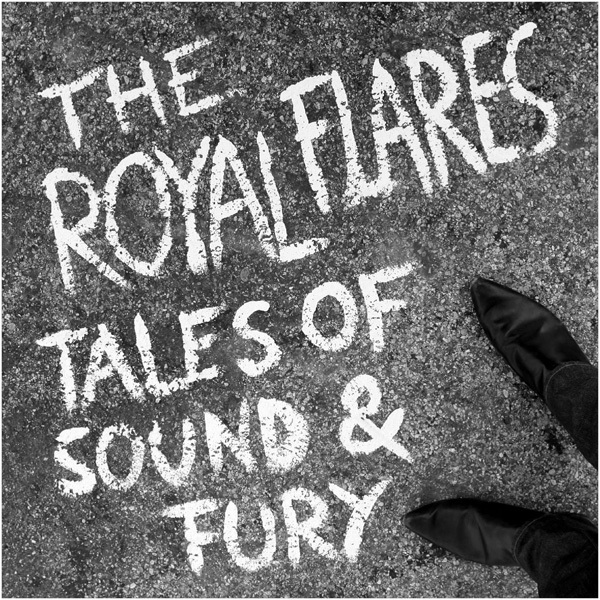 If you think ‚Signifying Nothing‘ with its biting blasts of fuzz is right off a Back From The Grave comp, you could be right, only that it’s the Royal Flares’ very own creation. ‚The Stalker‘, another 60s punk smasher, has been described as ‚the Great Scots blended with the Ramones (Blitzkrieg Bop)‘. With tunes like ‚This Is Why I‘ the Royal Flares even prove to be competent on Beau Brummels territory and ‚Mavis‘ is a beautifully haunting and moody 60s garage ballad. ‚Tales Of Sound and Fury‘ is like a massive rock in a sea of plastic. It’s raw, it’s wild, it’s pulsating with the blood of original rock’n’roll. Welcome to the Stone Age!